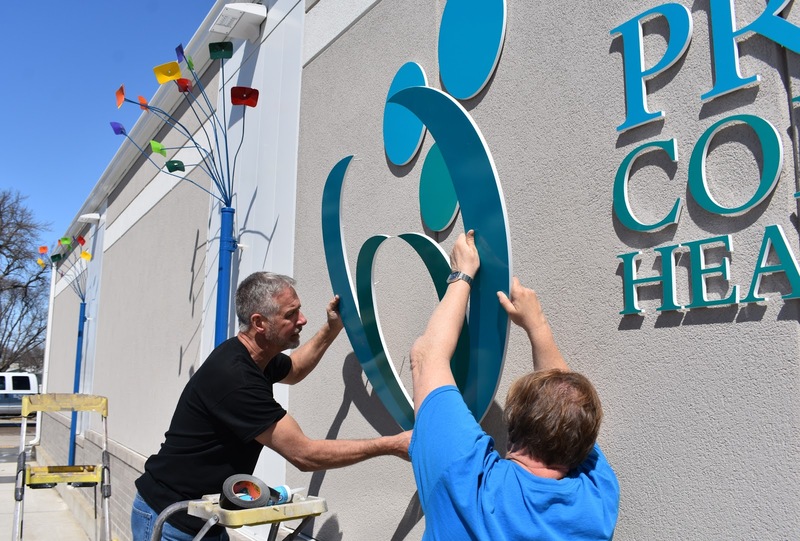 SIOUX CENTER – Promise Community Health Center invites the community to celebrate the completion of its capital campaign, exterior renovation and interior expansion. hold an open house 4:30-6:30 p.m. Thursday, April 26. 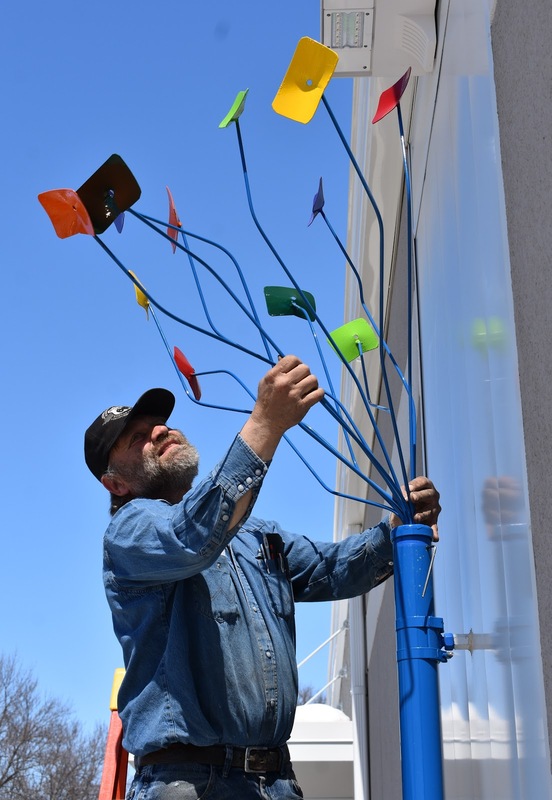 The health center, which is located at 338 First Ave. NW, across the street from the Sioux Center city hall, is planning a ribbon cutting and open house for 4:30-6:30 p.m. Thursday, April 26. The Sioux Center Chamber of Commerce will conduct the ribbon cutting at 4:30 p.m. People then will have opportunities to tour the health center. Hors d’oeuvres, wine, beer and beverages will be served. Promise’s exterior has been transformed from a deteriorating, yellow, steel shell to a much more inviting and modern look. The facelift was made possible thanks to the generous donations of many individuals and businesses. Promise launched a $250,000 capital campaign for the exterior renovation project in November 2016. The health center contributed to 50 percent of the cost, but it appealed to the greater community to donate the remaining funds to make the project a reality. More than $130,000 was raised in gifts. Kevin Schmidt of Tucket’s Design of Sioux Center designed the building makeover. Schelling Construction of Sioux Center, the general contractor for the project, began construction work in August and is completing the finishing touches. All four sides of the building have been renovated with a brick and EIFS finish. A new front doorway and floor-to-ceiling windows were installed on the west side. Promise’s awnings on the west and east sides were replaced with a modern lighted feature. A new entrance also was installed for the Los Palmas Mexican Grocery Store on the north side. Sidewalks were reconstructed to enhance safety. 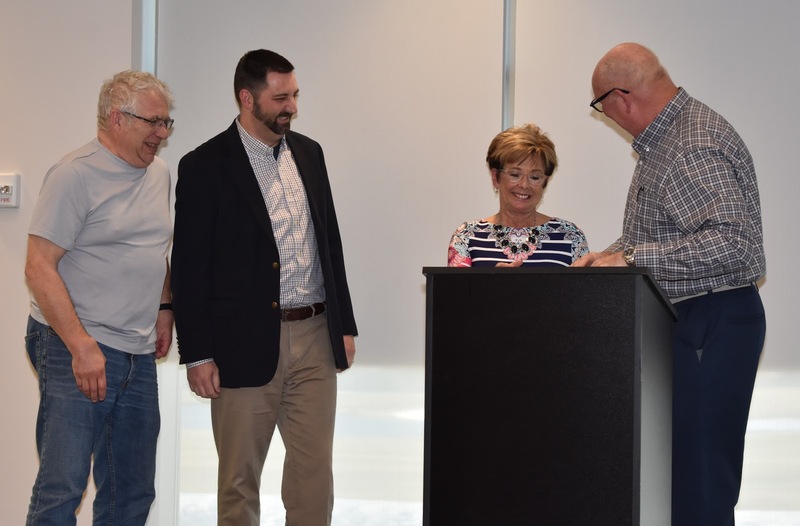 Last spring, Promise also completed a 2,200-square-foot expansion and renovation project that filled the remaining vacant spaces of Sioux Center’s former bowling alley building. The interior expansion project included a much larger community education/conference room, two patient rooms and two offices. The vision/eye care program moved into one of the exam rooms, and the second exam room will allow for future growth. The two new offices are occupied by the executive director and chief financial officer. of Promise CHC's renovated building. Promise Community Health Center of Sioux Center is a Federally Qualified Health Center serving the northwest corner of Iowa. Promise provides medical, prenatal, dental, vision, behavioral health and family planning services. To learn more, visit www.promisechc.org and watch this video. To read more Promise news, visit promisechcnews.blogspot.com. What: Ribbon cutting is set for 4:30 p.m. Tours of health center will be offered. Hors d’oeuvres, wine, beer and beverages will be served. Why: Come celebrate the completion of Promise’s capital campaign, exterior renovation and interior expansion. Promise wants to thank the community for its support. To see more photos of the finishing touches being completed on the building, view this Facebook post. 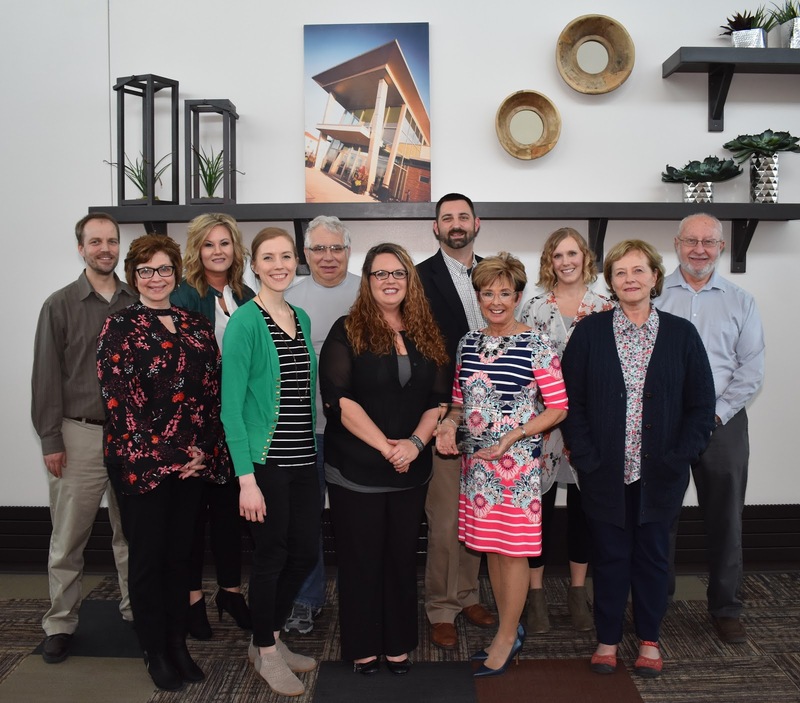 SIOUX CENTER – Promise Community Health Center has opened its arms to welcome all patients to receive affordable, comprehensive care for nearly 10 years. In recognition of the impact the health center has made in community, Promise was honored as the organization to receive the 2018 Community Service Award during Sioux Center’s annual Spirit of Community evening on Tuesday, April 17, at Terrace View Event Center. and former executive director Nancy Dykstra. Nancy Dykstra, who is Promise’s founding executive director and retired at the end of 2017, was touched by the honor and shared her gratitude with the audience. 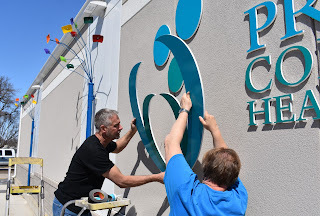 Nathan Vander Plaats, Promise’s new executive director, noted that the health center has had many opportunities to celebrate this year, including the milestone of the 10th anniversary of its July 2008 opening. 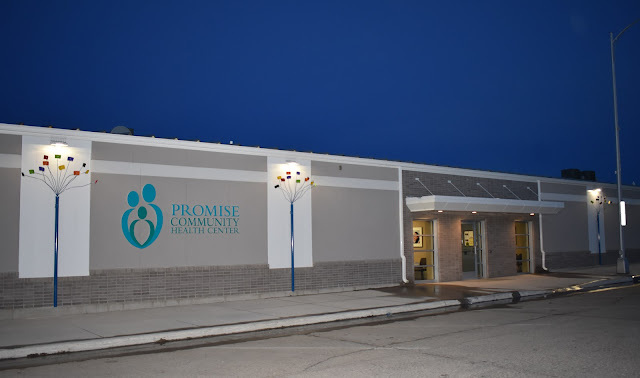 Later this month, Promise will celebrate the completion of a successful capital campaign and exterior renovation and interior expansion projects. The ribbon cutting and open house is planned for 4:30-6:30 p.m. Thursday, April 26. April 17, at Terrace View Event Center in Sioux Center. receive Sioux Center's 2018 Community Service Award. Ten years ago, Promise Community Health Center was founded in Sioux Center’s former bowling alley with a vision to provide accessible health care and to improve the well-being of the whole community. Today, Promise is serving nearly 5,000 patients per year. The center offers comprehensive care that includes medical, dental, vision, and behavioral health services, along with family planning and victim advocacy. Their newly renovated facility has allowed Promise to handle 22 percent growth in patient numbers this past year, with people coming from 162 ZIP codes to access health care there. The center will be adding substance abuse care by the end of this year. Promise Community Health’s leadership continues to keep an ear to the ground about local needs. The majority of the center’s board is made up of patients who have direct knowledge of changing community trends. Promise leadership recognizes that accessible health care must always be adapting to anticipate and meet those needs. That has been the case from the beginning. Fifteen years ago, former executive director Nancy Dykstra saw things changing in Sioux County. The population was growing, and new health care needs were emerging. Nancy met with local health care organizations, schools, community leaders and anyone she could talk to about creating a community health center. Since the center opened 10 years ago, Nancy guided the organization through the first difficult years when funding was tight, then through continued growth in services and facility expansions. She reached out to local medical staff, dentists and optometrists to forge connections that would allow more people to access those services at Promise. Nancy retired at the end of 2017 and has passed the reins on to Nathan Vander Plaats, who is bringing his experience and a passion to continue to evolve the way Promise serves the community. The vision that was planted when Promise began has only grown and flourished. From the front desk staff to the dentist filling a cavity, Promise Community Health staff members all understand how they contribute to the greater vision. With servant-hearted attitudes, they seek to improve the whole community’s well-being, one patient at a time. Please join me in honoring the organization receiving the 2018 Community Service Award: Promise Community Health Center. 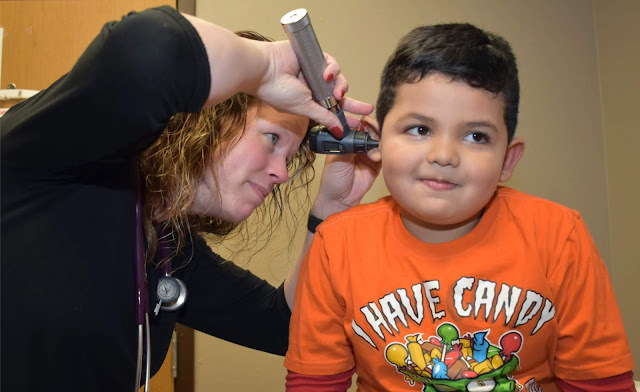 SIOUX CENTER – Alondra Valdivia always would be the doctor when playing with her friends as a child. Back then, she already knew she wanted to go into the medical field. 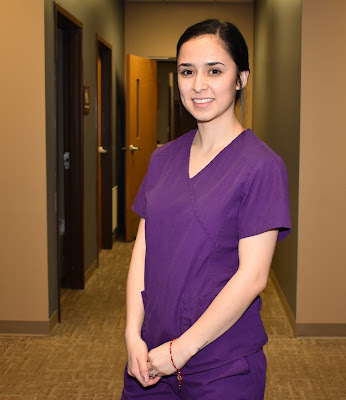 Her dream has become reality as she recently assumed a medical assistant/interpreter position at Promise Community Health Center in Sioux Center. medical field since she was a child. Alondra, who grew up in Hull and graduated from Boyden-Hull High School in 2015, started working while still in high school in 2013 as a certified nursing assistant at Pleasant Acres Care Center in Hull. She continued working there until the summer of 2016, when she took a part-time job as a patient tech at Hegg Memorial Health Center in Rock Valley. In December 2016, she decided to return to the nursing home in Hull. She has taken a couple of online classes from Northwest Iowa Community College in Sheldon and hopes to continue her education at NCC this fall on a part-time basis – with the hope of eventually becoming a registered nurse. Working at Promise fits right in with that. What does she hope to bring to Promise? Promise Community Health Center of Sioux Center is a Federally Qualified Health Center serving the far northwest corner of Iowa. Promise provides medical, prenatal, dental, vision, behavioral health and family planning services. To learn more, visit www.promisechc.org and watch this video. To read more Promise news, visit promisechcnews.blogspot.com. Alondra and her husband, Moises, live in Rock Valley and have a 16-month-old daughter, Valentina. In her spare time, Alondra enjoys reading, shopping, spending time with her family and working out, but two of her favorite hobbies are eating and sleeping.